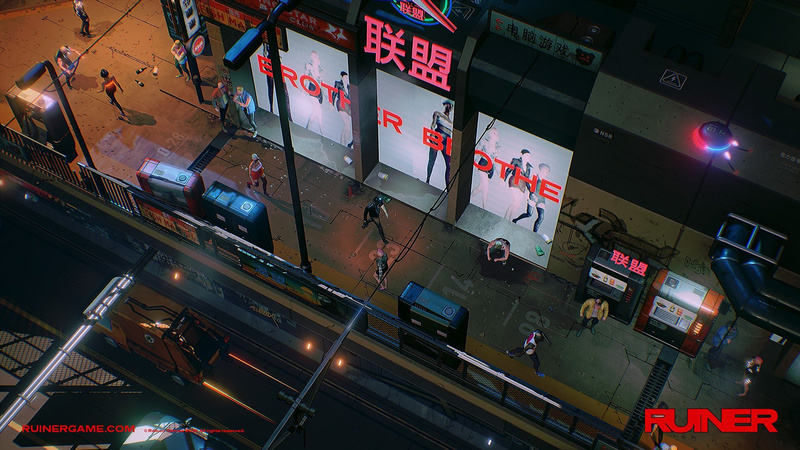 Ruiner, a top-down shooter with a slick art style, is coming to PlayStation 4 this summer, developer Reikon Games has announced. With a cyberpunk setting and a mission that sees you rescuing your brother from a shady organisation, it could end up being one to keep an eye on. The blog post reveal promises "loads of weapons and gadgets", with death-dealers ranging from "conventional pieces like pistols, SMGs, shotguns, and plasma rifles", to "hi-tech armaments like the singularity gun, orbital cannon, sonic shotgun, lightning cannon, subzero gun, rail gun, and more". Sounds like it'll be a rather explosive experience, doesn't it? 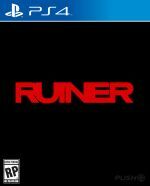 Has Ruiner got your attention? Blast your way into the comments section below. Yessssssssss. I've been waiting for this to get confirmed for Ps4 for ages (Devolver's generally really good about PS4 support). I'll probably be checking this out at PAX in a couple weeks too! It looks so awesome! I first thought of Blade Runner and Syndicate, so I'll be tracking this with interest. It definitely has my attention. I love anything cyberpunk. Trailer looks impressive as well.